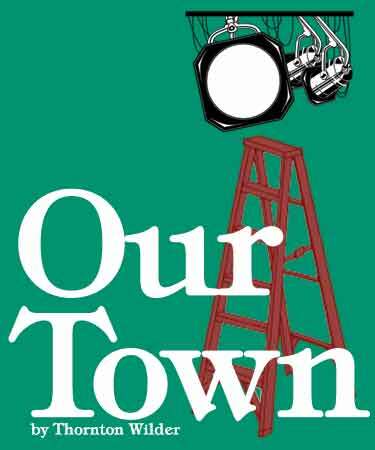 Hamilton drama to present "Our Town" - Hamilton School District. Hamilton High School Drama invites community members to this spring’s entertaining production of “Our Town” by Thornton Wilder. Performances will be May 5 and 6 at 7 p.m. and matinees on May 7 and 8 at 1 p.m. in the Hamilton Fine Arts Center. Ticket prices are $8 for adults and $5 for students and senior citizens. Senior citizens are offered a buy-one-get-one promotion on May 7. “Our Town” is a classic play about the small picture-perfect town of Grover’s Corners. It begins with the stage manager giving an overview on the town and then focusing on the Gibbs and Webb families. Time passes and in act three, the play changes pace and a character gets to visit a childhood memory, realizing the importance of life. For more information, please call the Box Office at 246-6471 x1552. The Hamilton Fine Arts Center is located at W220 N6151 Town Line Rd., Sussex.